Sorana's eyes fluttered, and she bolted upright, her forehead colliding with someone else's. "ow!" they complained, talking a few steps back. When her vision focased her eyes grew wide, infront of her was a guy,wearing all black, and a girl dressed like a ninja. "she hit you good squall." the girl laughed. "Leon." he corrected. Sorana shook her head and got to her feet. "where am i?" the girl turned and smiled "your in Transverse Town." Sorana blinked then gasped. "where's my home? my Island!..Neo!" the guy, Leon, shrugged "no idea.." After a few hours, Sorana was filled in. "So those creatures are known as Heartless...and are afraid of this blade." she summoned Oathkeeper and swung it around. "correct" the ninja girl, known as Yuffie nodded. "but...we were told there was two of you." Sorana looked down at her shoes. " I lost Neo when our worled vanished, the last i saw of him was when the ground crumbled under him and he got picked up by the winds as well." Leon stared out the window of the room they went to. "but..why a winey girl and a boy who couldn't hold on to the girl.." Suddenly he was holding his head in pain. "WHO ARE YOU CALLING WINEY!!?!" Sorana demanded holding oathkeeper , ready to strike again. "Anyways.." Yuffie sweatdropped " the king sent people to help you and your friend.." Sorana stood up, and turned to Yuffie. "and who are they?" Sorana questioned when the door opened. She let out a scream at the sight of a Duck, and a Dog. Neo: *He woke up* Alright.... Where am I? *He looked around* Oh man..... This isn't the island anymore.... Let's see.... If I can recollect.... The island ground collapsed.... We fought a giant creature..... Suddenly were sucked into some..... Black hole...... Dimension travel? *He walked thinking* I can't get a single idea of what's going on here... I have this strange blade too..... I can't believe I lost Sorana..... Where could you be? *He scratched his head in confusion* Maybe she's around here somewhere..... She couldn't have gotten far right? "ha-yuck, are you okay miss?" the dog spoke, making Sorana's knees buckle. "i-i-it t-talked..." she remarked ducking behind Leon. who sighed "Sorana, meet Donald and Goofy." The duck tapped it's foot impatiently. "daw Donald,dont be so mad.." The Dog, who must have been Goofy,spoke. "Quack!!!!" Donald replied. "why do we get stuck with a wimpy girl!" Neo: Not a problem... Hey... Who are you? And where am I? Suddenly Sorana's hand was connecting with Donald head, earning him a large bump. "be quiet duck, before i make you into a stuffed turkey!!" Donald opened his mouth to replied but was cut off by heartless appearting. "Leon!" yuffie exclaimed who jumped into action. "get out of here!" He shouted as Sorana summoned her keyblade, Donald and goof suddenly had weapons, a staff and a shield. They all followed the heartless out of the building. "find the leader!" Leon demanded running off in another direction. "oh such a pain!" Sorana exclaimed before she started basking away at the heartless, Donald and Goofy were behind her the whole way until they got to a strange part of the town. "okay...we still havent found the leader..." Sorana complained. "garwsh..i wounder where they could be.." Goofy mused, a moment later the ground shook. "OH COME ON!!" Neo: Hey.... Alice.... So just what's going on here? Any idea what those creatures were? Neo: .... I see..... That's when I came in. Neo: I know I got your side of the story.... But something else I was wondering.... Have you seen a girl.... Named Sorana by any chance? ??? : Well, look what we have here. Neo: What the.... You're.... A playing card? Neo: Huh? Hold on, can we talk about this.... What's going on? ??? : She's on trial for an attempt on the queen's life. ??? : Is that so? So you must've had an attempt on the queen's life as well. they stopped by the shops and bought some potions, which should magicaly heal them when sprinkled over there body. "Let get to the gummy ship." Donald spoke. "Gunny ship??" Sorana asked. "GUMMY!" He corrected as they left the world and got on the ship. "Wow!" They flew around until they came to a strange looking world. When they landed and goofy faceplanted into the floor, they saw a white rabbit run past. "I'm Late! i'm LAte! The Queen, She'll have my head for Sure!!!" he chanted giving Sorana a headace. they followed the rabbit into another room, where it somehow shrunk into a tiny thing and was going through a tiny gold door. "how'ed he get so small?" Sorana questioned, looking at the door. "no, your simply to big" the door spoke making Sorana, Donald and Goofy gasp in surprise.. "quack! it talks!" Donald yelped as the doorknob yawned. " must you be so loud, you woke me up..." Goofy spoke neck "good Mornin." "good night..i need a bit more sleep.." the knob yawned again. "wait! what do we need to do to grow small!" Sorana asked. " why dont you try the bottle..over there." They all turned around to see bottles and a table had appeared. Sorana sighed and accedently pushed the bed, making it go into the wall. "oops.." she remarked before she noticed the large hole in the wall. Sorana turned to the bottles and picked one up. "Down the hatch.." she remarked taking a sip, and almost instantly shrinking. When donald and goofy shrunk,they went though the hole and found themselves in a room full of cards, a blonde girl, and Neo!! the white rabbbit from before ran up a bunch of steps it took a few breaths, blew on it's trumpt and announced " court is now in session!!" "the rabbit ingored her "Her Majesty The Queen of HEarts,presiding"
a large fat woman was sitting on a throne infront of the Blonde girl. "this girl is the culprt. Theres no doubt about it." The woman paused "and the reason is...Cause i say so that's why!" "that is so unfair!" The girl complained. "well have you anything to say in your defense?" the queen remarked. "of course!" the girl replied. "we have done absolutely nothing wrong." she crossed her arms over her cheast. "you may be queen, but that dosent give you the right to be so...so Mean!" "Silince!" the queen yelled, making the girl's and Sorana's hair blow like it was in the wind. "you DARE defy me?" Sorana looked to Donald and Goofy, noticing they didnt reconize Neo. "hey guys, we should help them out.."
"yea but the" Donald Started. "were outsider's so wouldnt that be muddeling?" Goof yasked. "oh yea..and that's ageist the rules" Goof remarked. "the court finds the defendents...GUILTY AS CHARGED!!" The Queen yelled. "for the crimes of assult and attempted theft of my heart.."
Sorana gasped at the last part. "OFF WITH THERE HEADS!" "no no oh please!" the girl cried out, as Sorana announced herself. "Hold it right there!" "who are you? How Dare you interfer with my court?" the queen demanded. "excuse me, but we know who the real culprit is.." Sorana replied. Sorana turned to the queen after looking at Goofy "Anyway there not the one's your looking for." "that's nonsense..do you have any proof?" The queen asked. "uh oh.." Sorana sighed as The Girl got shoved into a cage. "bring me evidence of Alice's innocence, Fail and it's off wit hall your heads gather as much or as little, come back here when your done.." The queen looked at Neo. "Take the useless boy with you..he may be of some help..or not.."
Donald looked at NEo. "Another useless one.." Sorana's fist connected with his head "Stupid duck." she turned to Neo. "i'm glad we found each other instead of going on big long adventure where we keep passing each other up." Goofy looked at Neo. "i'm Goofy and this is Donald He-yck!" "alright so i guess we need to find some evidence that it was the heartless that tried to take the queens heart?" Sorana questined looking at Donald. "yep"
Neo: But the next question how...... *He got distracted by Donald and Goofy* Sorry..... But, are you 2..... A dog and a duck? Sorana sighed " i freaked out at first to...dont worry..."
"yea well, how about we tell him about the heartless." Sorana mused as they walked through a hole in the shrubs. Donald cleard his thorat "The Heartless are hearts corrupted by darkness, lacking a body or soul. " 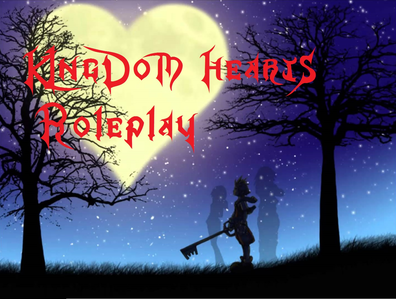 "the heartless are drawn by the darkness in people's hearts, and are afraid of the keyblade""
Sorana blinked "dont ya wanna know what a keyblade is?" She sighed and smiled "yea..your right." she turned and triped over something. "OW!!" Goofy helped her up. "Gawrsh, it's evidence.." he picked up something and put it in his pocket. Neo: Alright.... That's one thing.... You alright Sora? "yepp" she brushed her hands off on her dress. "let's just home i dont fall over another one." Neo: Huh.... You won't.... Next time it'll be easy to find... And not on the ground....... Hopefully. "yea i hope so.." she turned and gasped as heartless appeared, the ones known as Shadows, and the ones with the armor, as well as Large ones and ones that looked like red bells. "right...and apparently we have to find a guy called 'King Micky.' " Sorana replied using her fire magic and burning a shadow to a crisp. Neo: Whoa..... Since when can you do something like that? "donald gave it to me." Sorana replied as said duck hit a fat one with a lighting bolt. Neo: Whaaaaat? Hey duck, think you can give me some cool magic too? Donald scowed. "later!! and it's Donald!!!" Sorana laughed and bashed one upside the head, making it vanish. "Fire!" she set another one ablaze. Sorana laughed again. "Perhaps." Donald killed the last one gand Sorana picked up something. "why would the Heartless be carrying Munny and other things." Donald walked over to Neo. "here, it's fire just like Sora." Sora pocketed all the items, listing off the things they needed most. "Donald..Goofy drink these." she handed them bot ha potion, which they drank and all the wounds left. "are you hurt anywhere Neo?" "alright." she placed it in his hands. "use it when you get hurt." "Gawrsh.." goofy mused "where should we go?" Donald and Goofy looked at each other. " The king told us to stick with the keys.." Donald Started, but Sorana was already walking away.